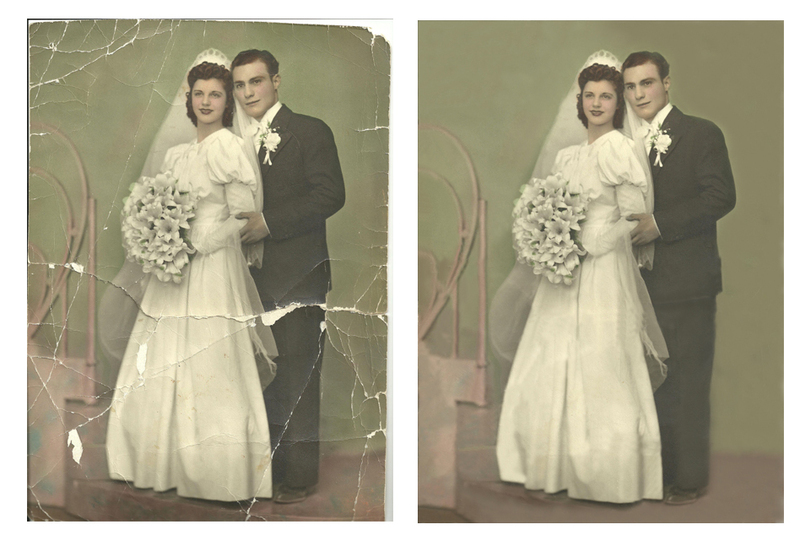 Free Shipping In The Continental U.S.A .
Photo Repairs At Affordable Prices! 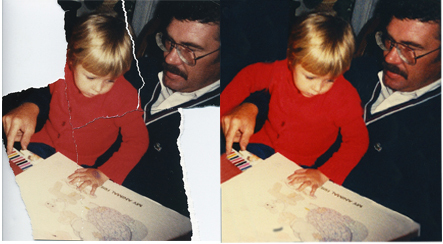 Working from an original photo or print, we can recreate your photo and transform it back to it's original state. Or, if you prefer special effects, we can manipulate your photo or digital image until it's something entirely new. 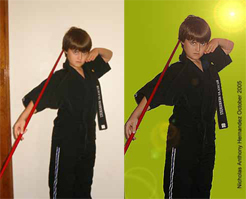 Check out our sample images for examples of the many visual effects fixing Photos offer. 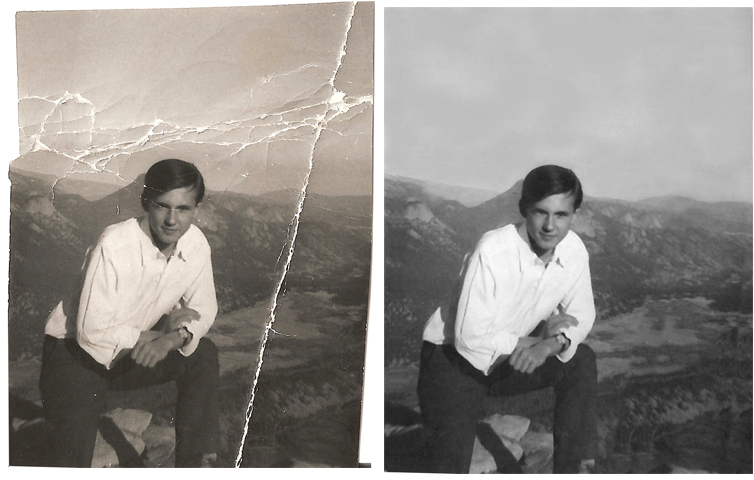 Using state-of-the-art computer software (the modern version of the old oil, brush, and canvas) as our tools, we can easily complete the task of restoring, enhancing, manipulating, or repairing your cherished photo. Simply scan the image and email it to us. Fixing Photos will then inspect the photo (if restoration is required) and classify it as either needing touch up, minor, moderate, major restoration, or extreme restoration. We will then get back with you with our free estimate (estimates good for 30 days). You review and accept the cost estimate, and make the advance payment by check, money order, or through PayPal. Upon receipt of payment, we will begin restoration. After we have finished restoring or enhancing your image (generally 1 to 3 days, depending on workload), we will place it up on a secured webpage for you to examine up close with a special flash program. Finally, if the image is not yet as you would like it to be, we will incorporate any changes and post the new image up on the secured webpage for your approval. If we cannot succeed in producing an image to your satisfaction, fixing photos will refund your money within a 30 day period. There is one exception: after approval of restoration or rework by client the guarantee will expire. Once you have approved the sample, we will email the fully restored proof and any original photos to you, and mail you a high-quality print. How do I get my photos onto my computer? You must first scan your photos onto your hard drive or onto a computer disk using a scanner, or download pictures from your digital camera to your computer. If you do not have the ability to scan the photo, you can simply take it to any copy center (Office Depot, Kinkos) and they will help you scan the image to disk. Make sure you tell them to scan it for 8x10 output at 300dpi (dots per inch) and save it on a 3 1/2 floppy disk at a JPEG / "High" quality setting. RGB, IBM PC Format. How should I scan the original photo to send to you? Just scan it at 300 dpi (dots per inch) for 8x10 RGB output. Then save as JPEG, "high" quality setting. You can then email it to us or put it on a 3 1/2 floppy disk or CD. What steps do I take to mail the photo to you on a disk? Just scan your photo and put it on a disk and mail us the disk with your specific instructions. 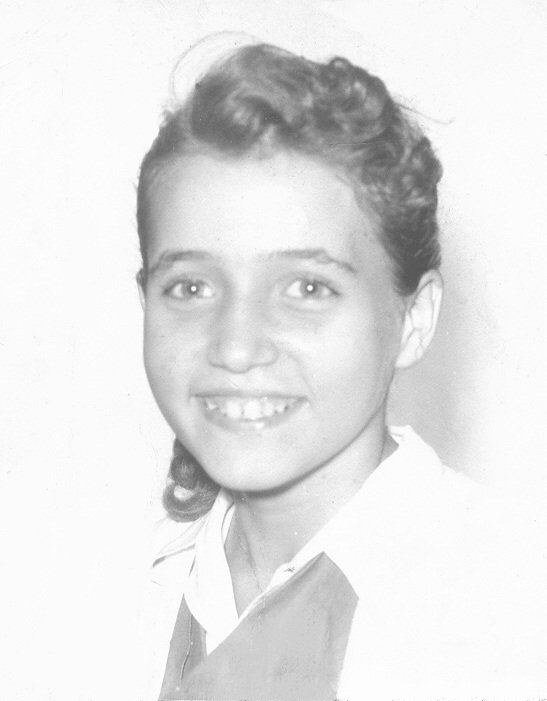 We will restore and/or enhance the photo, then send a proof via email, and at last, once you have approved the image, mail it back to you along with a finished print. Can you scan the photo for me? That we can! Just mail Fixing Photos the photo and we'll scan it for you, restore/enhance it, or whatever instructions we may have for the photo, and mail you back the original photo and a finished print. Please include a prepaid return envelope to cover shipping cost.